Can one design a signature scheme based on error-correcting codes? 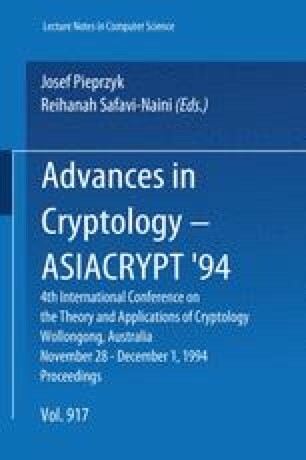 In this note, we show that the signature scheme based on error-correcting codes which has been proposed during the ASIACRYPT'94 conference and appears in this volume (see ) is not secure. The attack involves gathering a few hundred signatures. ⩉From then on, only elementary linear algebra is used.